Be honest. You’re not quite sure. “Great signings,” your friends said. Gary Lineker echoed the sentiment on Twitter. BT’s Jake Humphrey called it West Ham’s “best summer window in a long time”. And Jim White, that perennial master of over-excitement, reached new levels of hysteria on TalkSport when discussing West Ham’s business. Four new signings, all with proven Premier League experience, a new transfer record and the first genuine goalscorer we’ve seen in a decade. Pre-season didn’t help. The Manchester City game brought back horrible memories of last year. Then came the massacre at United on the opening day. Once again, two energetic sides made us look utterly pedestrian. We couldn’t point the finger at the London Stadium this time. As West Ham capitulated at Old Trafford, the only statuesque objects to blame were our own players. I spent the summer hoping for new signings to bring new energy into a team desperately lacking in urgency. Instead, we started the season with four players around their thirties, three of which have signed on lucrative long-term contracts. David Sullivan admitted this was an unsustainable approach, designed to make a big short-term improvement on our league position. Yet, almost every pundit in the land has us marked down for a 10th-place finish. Hardly the sort of progress that might be expected for such a risky transfer strategy. I spoke to Ted Knutson, of StatsBomb, one of the leading data analysis consultancies that are making their mark on the transfer market, and changing the way that football clubs do business. “There are two major applications of data in the transfer market,” he said. “Firstly, to stop clubs from making clear mistakes. Secondly, to help clubs find better players, for cheaper costs, from all around the globe. These analytics teams are changing the way football clubs identify transfer targets. Look at any football jobs website these days and you’ll see a host of vacancies for “data scientists” or “analytics experts”, all requiring a master’s degree in mathematics and professional experience in data modelling. Their task is to turn the wealth of information football clubs are producing – evaluating real-time data from matches and training – into useful insights for managers, coaches and players. The most advanced, typically in Germany and France, are using data to define a club’s transfer strategy altogether. If a club has a clear identity, a clear style of play – irrespective of whoever sits in the manager’s chair – then they can constantly plan for the future without ripping up the manual every time a new man comes in. The Director of Football model has a poor reputation in English football. It’s a concept that has the Soccer Saturday panel, who hark back to the halcyon days when Ferguson and Dalglish ran football clubs from top to bottom, choking on their mid-match Mars bars. But in Europe, it’s the norm. The Director of Football and the recruitment team will define a club’s identity and then bring in a conveyor belt of players that match that identity. The coach makes the best of the resources he’s given because trusting a man with an average life expectancy of two seasons in a job doesn’t make financial sense. Sam Allardyce – remember him? – said that 90% of a football club’s success was down to player recruitment. And the statistics support him. A recent study suggested that on average sacking managers costs a lot, for very little improvement. The tens of millions spent on paying up manager and coaching contracts, as well as recruiting a new ones, could just as easily be spent on well-judged player acquisitions. Good players win games. The gold rush to find the stars of tomorrow used to happen on the road. These days it’s done on laptops. Some clubs are still hesitant to take the plunge. Rather than fund their own full-time in-house team, they bring in help when they need it. That’s where organisations like StatsBomb come in. Clubs tell them what they need from a player in a certain position. Knutson and co. then mine their vast resources of statistics to provide a list of options. The statistics are far more advanced than anything you see on television, though this week Match of the Day embraced the new “expected goals” analysis after years of telling us that scoring goals was down to “desire”. Player performances are evaluated in extraordinary detail, with every touch in every area of the pitch evaluated according to space, direction, pressure on the ball and expected outcome. So what does Knutson make of West Ham’s business? 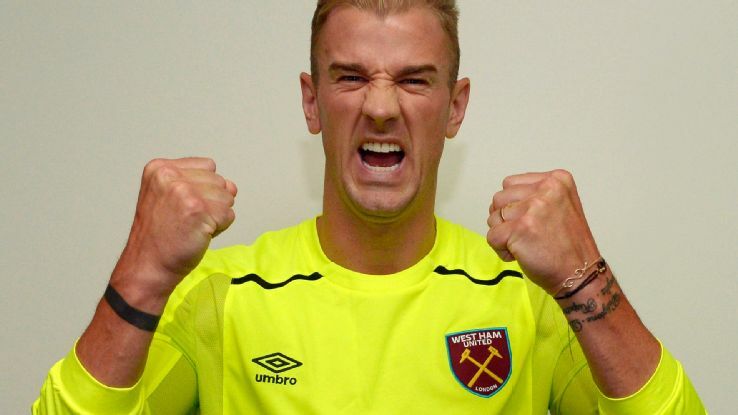 “I’m not sure Hart is anything above average, and the financials kind of dictate the evaluation of the other deals. Zabaleta is probably fine and the Chicarito deal depends on him rediscovering the form of a couple of years ago. I definitely like him as a player, but there’s risk. Declining. None of the four main signings will improve over the duration of their contracts. In fact, it will likely be a question of how long they can stave off the effects of age that determines their success in Claret and Blue. That’s not to say that experience can’t bring other benefits, aside from physical ones. In the late nineties, Stuart Pearce and Nigel Winterburn arrived at Upton Park in their twilight years and showed the dressing room what it meant to be a top-class professional. Doubtless Zabaleta will have the same effect. The question is one of balance. Old heads need fast legs around them, especially in the hurly-burly of Premier League football. The signings of Fonte and Snodgrass have been disastrous. Whereas Sead Haksabanovic, whose name will send chills down Paul Merson’s spine, has potential for the future. With talks over Sporting Lisbon’s William Carvalho progressing well, and with slightly more urgency after the horrorshow at Old Trafford, there does seem to be recognition amongst the club’s hierarchy that the balance needs redressing. It just feels a little… muddled. Knutson agrees that West Ham’s leadership needs to be clearer about their future path if they’re to use their money wisely. “Do West Ham want to build a highly competitive team for this year and light a bunch of money on fire in the process?” he said. English football, like West Ham, is at a crossroads. On one side you have the “real football” men like Merson and White, who see big fees and names as a sign of clubs doing good business. If that was the case then Harry Redknapp would have a host of trophies to his name. For 25 years, the Premier League has been so awash with money that wasting it seemed like an almost obligatory pastime. Football’s new breed can tell you how effective a player is in every possible situation. There are less excuses for the Simone Zaza’s and Gokhan Tore’s of this world. Expensive flops will no longer be routinely tolerated. Not when there is such a wealth of evidence available. Managers are transient, identities are permanent. Watching West Ham for the past 12 months, I’ve struggled to work out any discernible style or pattern of play. Are we a possession team or do we counter-attack? Do we press, or do we drop? Most of the time it seems like we shrug our shoulders and hope for the best. It might get us through another season. But sooner or later we need to make some big decisions. When any organisation talks about its future, it’s often helpful to look back at the past. For decades West Ham United was synonymous with carefree, flowing football. It gave us moments of joy where we dared to dream. And it gave us many moments where those dreams would fade before our eyes. It’s what we signed up for. We need to find our identity again. And we need to do it soon. The race to find the next group of “top players” has already begun. About the author: Sid Lambert is a football writer who recently released his new book Cashing In. It tells the story of Ray Cash, a 19-year-old footballer making his way through the murky world of the Premier League back in 1992, when football changed forever. You can buy it here.